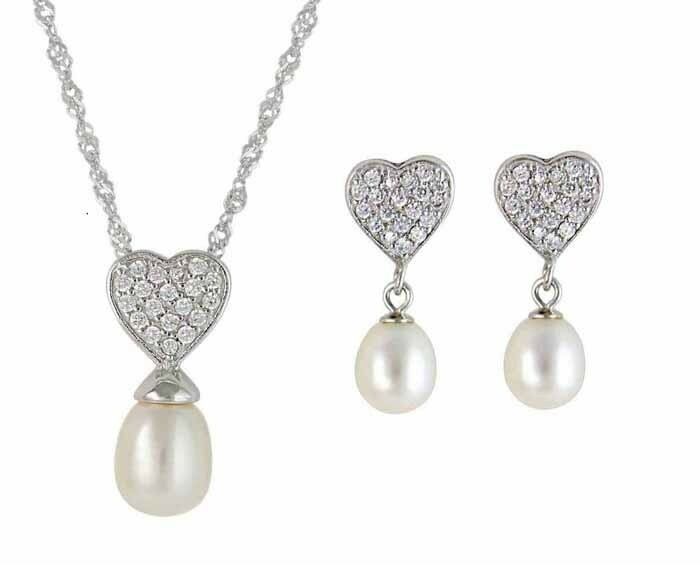 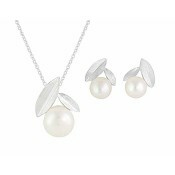 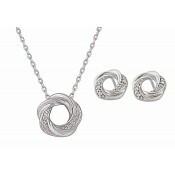 Truly captivating in its shimmer, this necklace and stud earrings jewellery set is one you'll wear again and again. 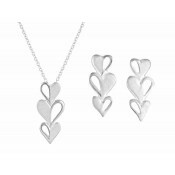 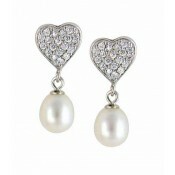 The sterling silver base has been moulded into a heart and encrusted with clear cubic zirconia. 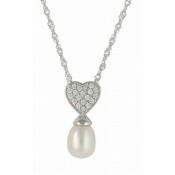 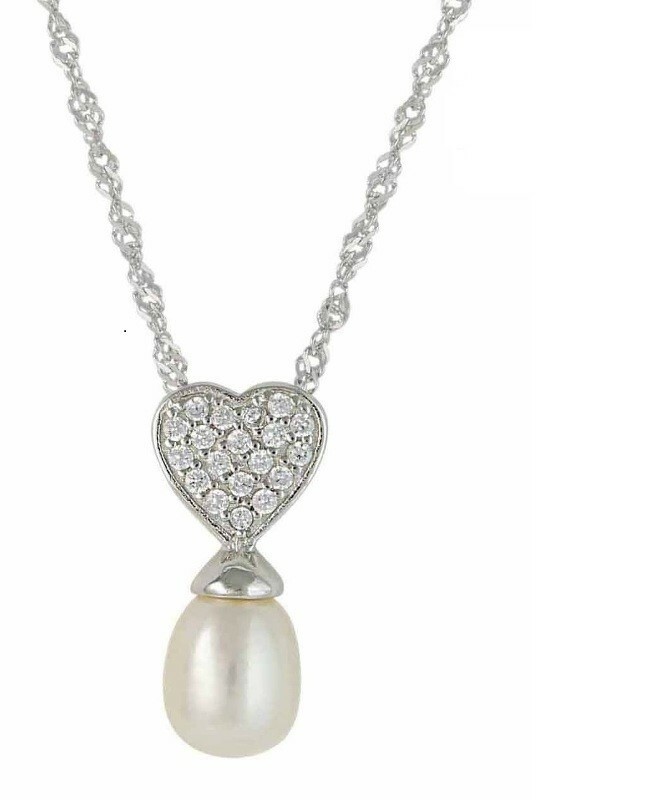 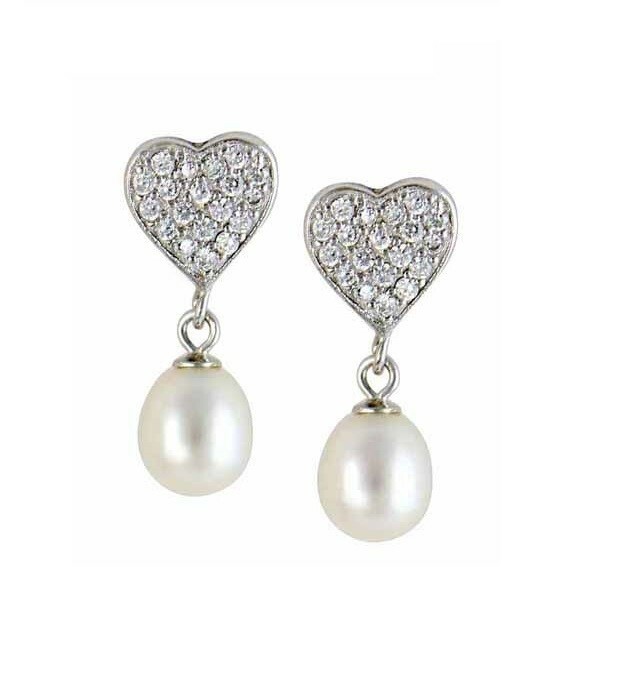 At the base, a single Freshwater Pearl sways in the light and displays it's true luminous to every admirer.